Introducing the YANDONG MY19, a silent diesel generator designed to suit a broad range of farming and industrial applications. 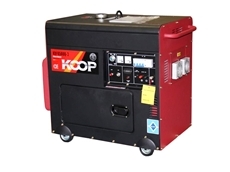 Feature-packed and offering commercial-grade engineering, the KOOP 3-Phase Generator will keep your facilities running, with ease. 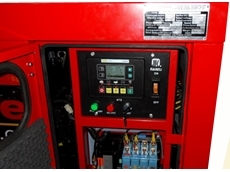 M&H Power Systems are specialist suppliers of emergency and remote power and lighting systems. 20/04/12 - The line of portable 3000rpm Kohler powered diesel ‘Mine Specification” generators are available from MPower. 16/01/12 - These Advanced Power portable generators are available in a range of iconic models, suitable for any agricultural application. 12/10/09 - Mobile Emergency Generators (MEG) designed by Energy Power Systems Australia (EPSA) Sales Engineer, Brian Williams, are available from Olympian Generators.